BMW Motorrad has teamed with motorcycling's golden boy of design, Roland Sands, to produce a concept bagger based on the German manufacturer's K1600 platform. 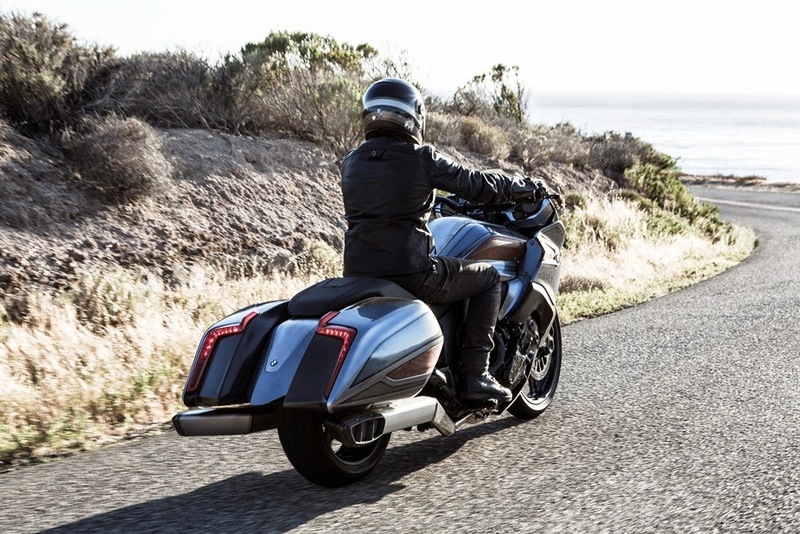 Known as the Concept 101, the unique machine has reignited rumors that a production bagger is not far off. The Concept 101 was revealed suddenly last week at an event in Italy. The motorcycle's name has dual meaning: Firstly, there is the fact that the K1600's 1,649-cc engine works out to be 101 cubic inches. Secondly, Roland Sands says he drew inspiration for the design from the iconic U.S. Highway 101, which takes in some of the greatest sights of America's west coast. "We had a clear vision when we were designing the bike: under the motto 'The Spirit of the Open Road' we wanted to build a high-performance, emotional and highly exclusive 6-cylinder vehicle that would make every ride a special experience. A bike that would make the moment so special, you would forget your destination," explained Ola Stenegard, head of vehicle design for BMW Motorrad. The Concept 101, with its wood-panelled effect, color scheme and industrial-looking exhausts have a distinctly Roland Sands look. 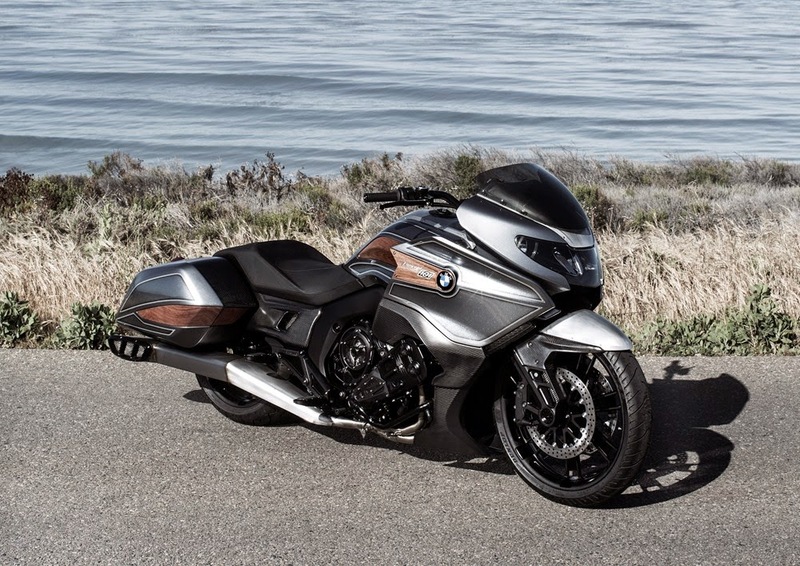 So, obviously, if and when BMW release their rumored production bagger to the world it would look somewhat different. Most expect it to more closely resemble the existing K1600GT or K1600GTL. A number of spy photos have popped up over the past several months suggesting that BMW is working on some sort of bike aimed at cashing in on the huge bagger trend in the United States. Many had expected to see such a bike released in time for this summer's sales. However, it's suspected that BMW are taking their time to get things right, after learning some painful lessons when they attempted a cruiser with the R1200C.